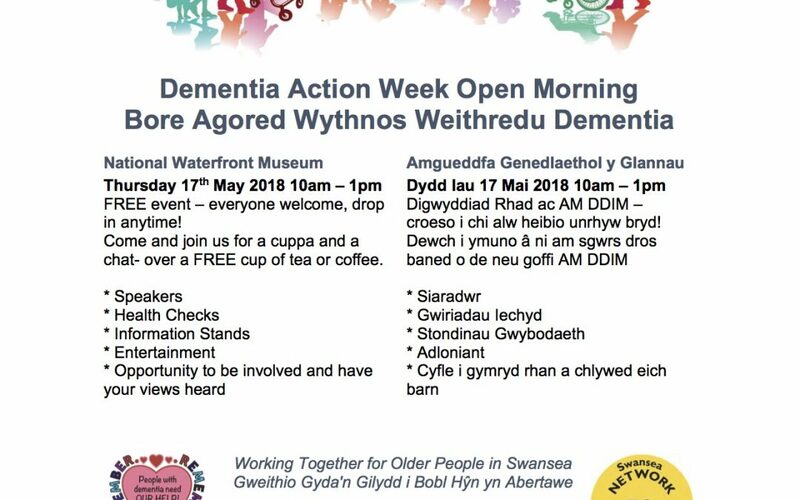 Dementia Friendly Swansea, in partnership with the Network 50+ with support from Swansea Council and the National Waterfront Museum, are holding an Open Morning on Thursday May 17th in the National Waterfront Museum for Dementia Action Week. The event will be between 10am and 1pm and will involve an exhibition area with up to 30 stalls as well as speakers, participation activities and live music. There will also be refreshments, teas and coffees so no-one gets thirsty chatting! Join us from 10am until 1pm for a cuppa. 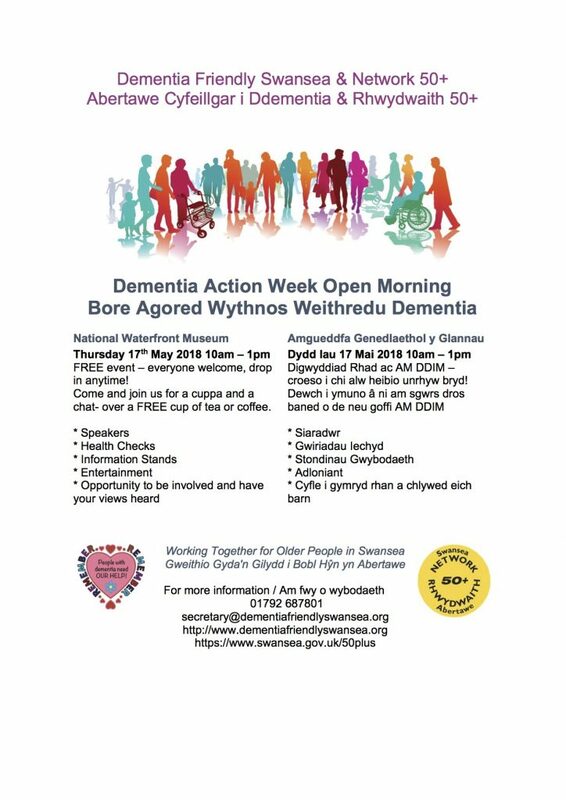 Browse the exhibition, pop in to the speakers and even become a Dementia Friend while you are there! Most importantly, there will be the chance to give your thoughts on services in Swansea.